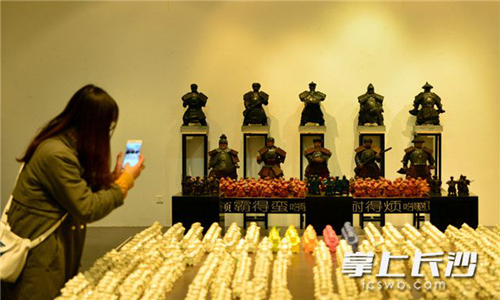 A brigade of Xiang army clay figurines debuted at Changsha Normal University on Dec 4, depicting great heroes, generals, and warlords from dynasties long past. 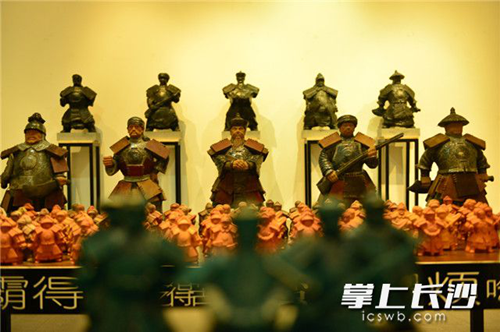 Historical figures from the Three Kingdoms period (AD 220-280): the god of war, Guan Yu, and warlord, Liu Bei, and military generals, Zhang Fei, Huang Zhong and Ma Chao have been crafted as prototypes by artists, as well as five figures inspired by the Xiang army, the Hunan local forces in late Qing Dynasty (1644-1911). Visitors can gain an insight into the statues via a combination of existing cartoon designs and decoration styles of traditional Peking Opera , revealed in the ceramic and bronze wares. According to Qian Zhengcai, an artist and teacher at Changsha Normal University, the five characters represent five occupation categories in real life: litterateur, athlete, politician, craftsman and businessperson. 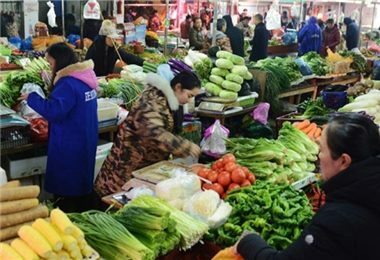 "The Xiang army shares a wide cultural consensus among Hunan people," Qian said. Based on the cultural symbols, the teacher also guides students to create more works of art, including T-shirts, bottles, carrier bags and ornaments. Visitors admire pottery and bronze ware created based on historic figures of the Three Kingdoms period (AD 220-280) at Changsha Normal University starting on Dec 4. 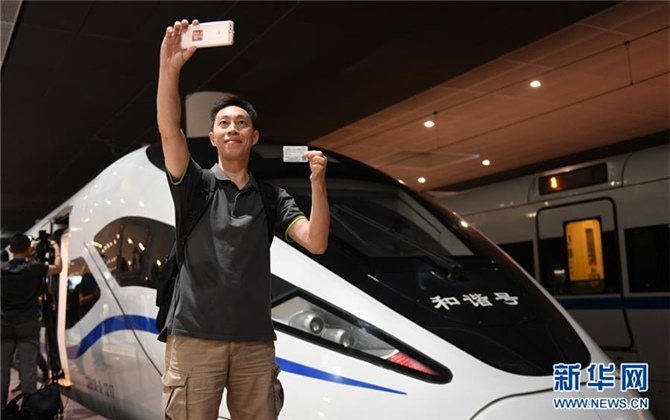 "I hope the exhibition can help break the barriers between artistic creation, the development of cultural derivatives, commercial operations and classroom teaching, and explore an interactive art education pattern to reach multiple goals," Qian added. 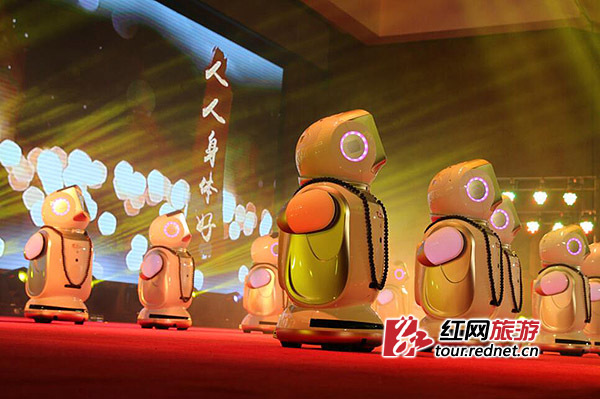 Organized by Changsha Normal University, Hunan Province Arts and Crafts Association and Changsha Literature and Art Association, the exhibition will run until Dec 9. 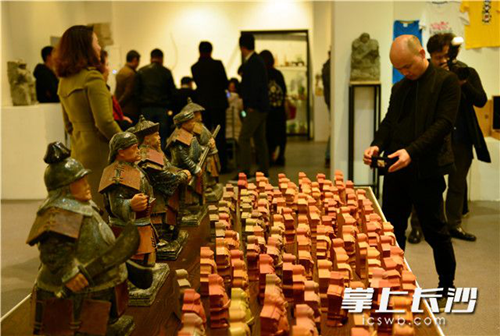 A visitor takes photo of vivid artistic figurines.